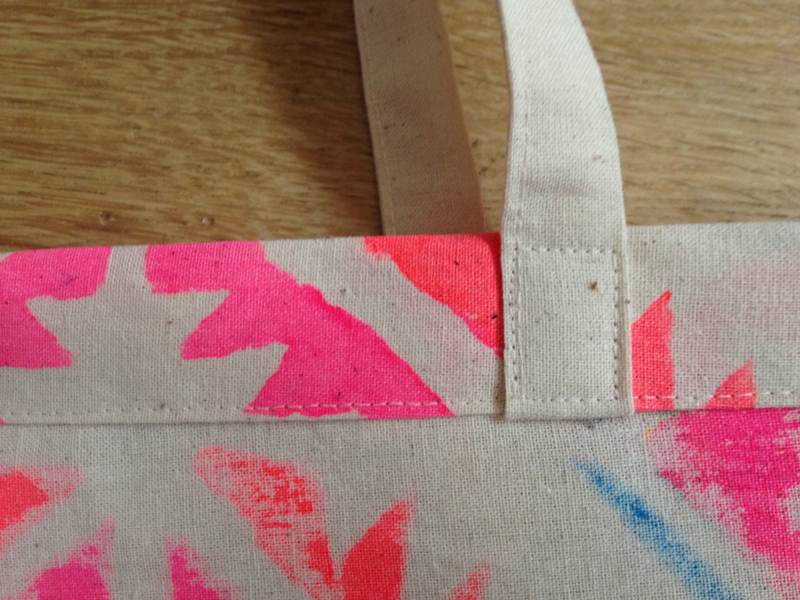 Given the not-so-skin-worthy nature of the scrap calico we used to test out our Aztec stencil, our what-to-make options were slightly limited to the realm of accessories. 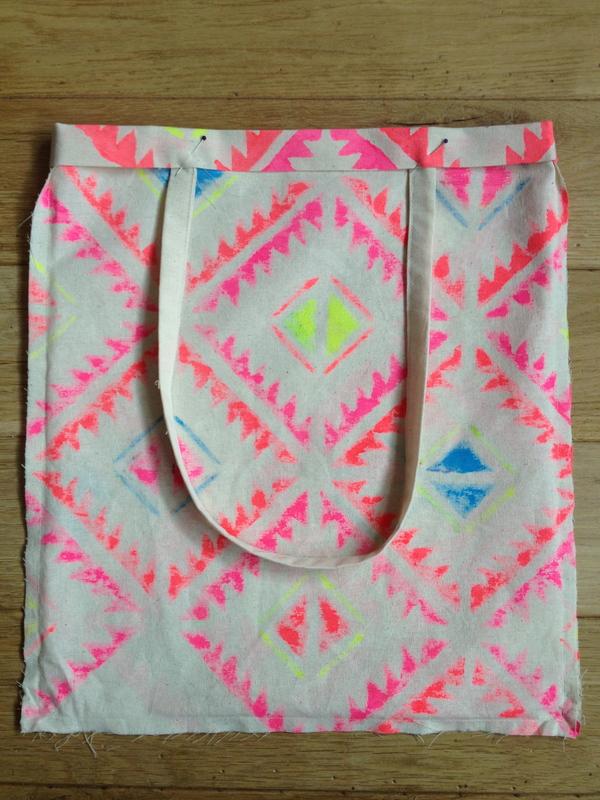 But what better accessory to best show off the print and be useful on an everyday basis than a basic shopping tote? The result was so striking that I don’t think I’ll ever use one of those generic, someone-else’s-logo cotton shopping bags again. 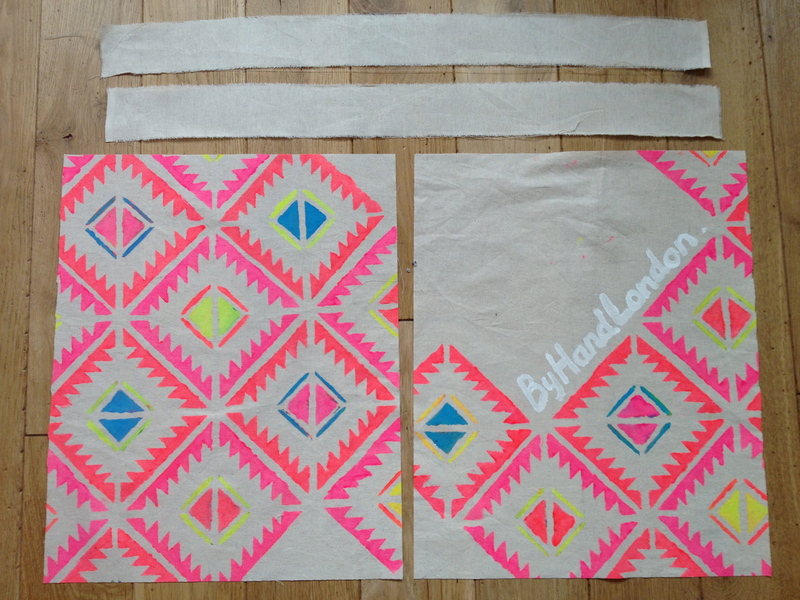 From your fabric, cut 2 rectangles measuring 38x50cm and 2 long strips measuring 8x70cm. 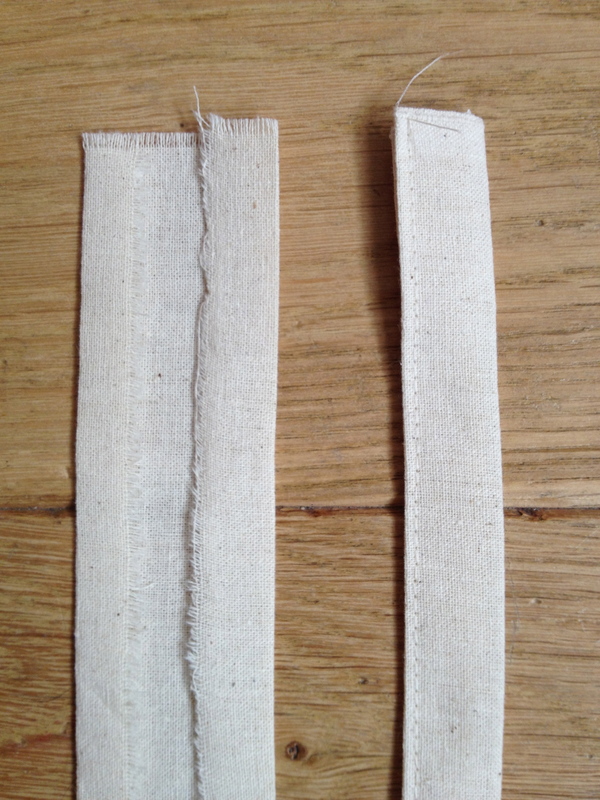 Prepping the straps: Fold the raw edges along the lengths in by 1cm and press. Fold in half down the length (folded bits inside), press and topstitch to close. Prepping the bag: With right sides together, stitch around the edges of your big rectangles leaving the top open (1cm seam allowance). 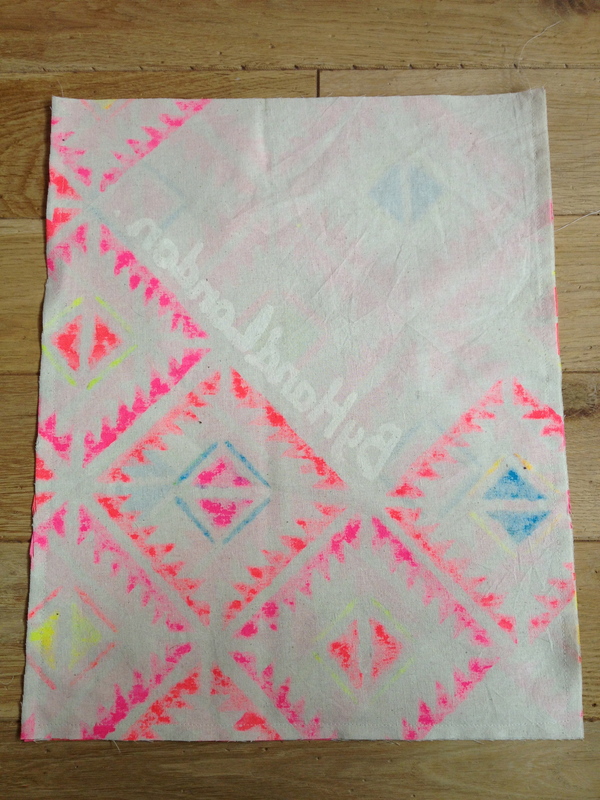 With your bag inside out, fold down the raw top edge by 1cm and press. Fold again by 2cm and press. Using the image as a guide, position your straps on either side and pin into place. Stitch the folded opening close to the fold, trapping the straps as you go. Fold the straps so they now face upwards and finish by stitching a secure little rectangle where they meet the opening for extra reinforcement. All done! Now just turn your bag to the right side and off you go! Easy as pie. 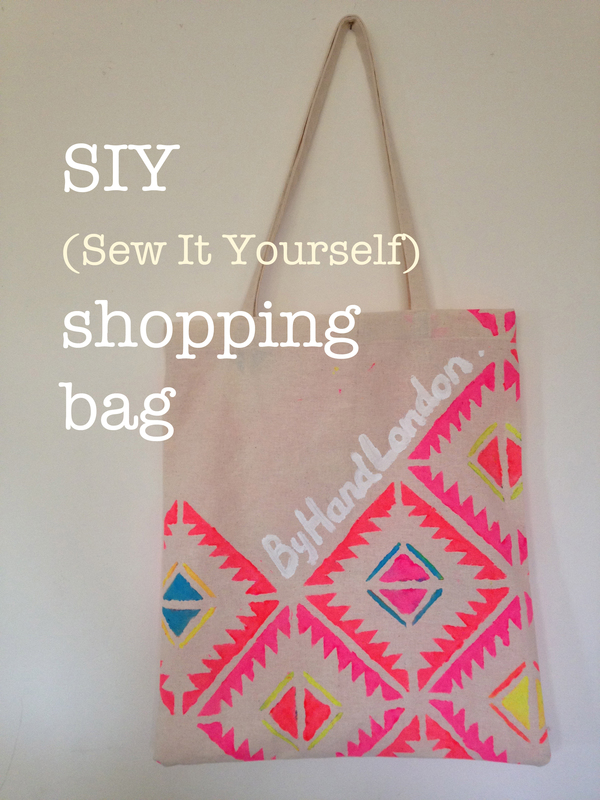 This entry was posted on July 23, 2012 by byhandlondon in DIY and tagged accessories, bag, diy, fabric, fabric paint, repurposing, sewing, tutorial.